OC Mom Activities: Etnies is My Savior! You know that instruction book that they give us when we become new parents (I wish!)? Well, they left something out, apparently Etnies shoes are an absolute must for rough and tumble little boys. Kyle is known for ripping through a brand new pair of expensive shoes in less than a month. Don't get me wrong, I have no problem replacing a pair of shoes that he has outgrown, but when I have to replace them so fast simply because they have been destroyed is very frustrating. I'll pay double for a pair of shoes that will last, as long I know they will actually last. I'm happy to announce that Kyle and Brett are now wearing their new Etnies and almost a week in to it, there is ZERO sign of wear or tear. I can honestly say I will be buying strictly Etnies shoes for Kyle until he grows out of this shoe destruction phase. I really can't speak highly enough about what we saw at Etnies that day. Everything from their passion to reduce their carbon imprint to making shoes that are biomechanically tested which ensures the best shoe possible. 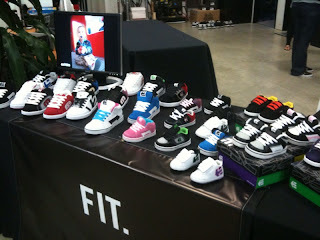 Etnies is obviously on the forefront of technology for shoes (from toddlers to adults). You don't have to be a "skater" to wear them. Amazing people are running the company and that just affirms my choice to purchase their shoes (especially for Kyle!). Now here's my gift to you! Etnies is doing a special promotion at Etnies.com enter the promotional code of "ETNIES FAMILY" and from November 17th through December 4th, you'll receive $10 off every $40 you spend, plus free shipping! Share this with everyone you know, it's an amazing deal. If you've got Toddlers, be sure to check out their "Grow with Me" shoes. I wish those were available when Brett and Kyle were toddlers! Girls are tough on their shoes too! Thanks for the info, I will definitely check these out! I have never heard of that brand before. Thanks for the tip! Also, thanks for your comment on my blog post today. I am glad it made you laugh!! 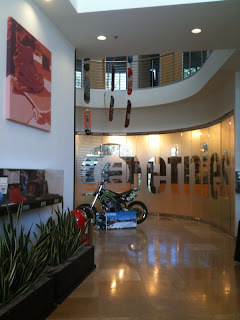 Check out the Etnies website sometime. You will be amazed to what level you can customize a pair of shoes. Look at "Fader Kids" model. You can pick the color you want on the toe cap, the outline of their 'E' logo, the sidewall, the lining, tongue etc... until you have your own unique pair to custom order. Expensive...but awesome. Etnies is a global leader in footwear and apparel while providing the most quality, function and style for skateboarders. As well as preserving the core spirit of action sports. Beautiful collections.Thanks for Sharing to us.i love fashion.thanks again. like this sports player pic. Getting Ready for My First Giveaway! Review Requests and Freebies - My Promise to You! Ahh, The Holidays are Finally Here! Thanksgiving dinner for less than $20?